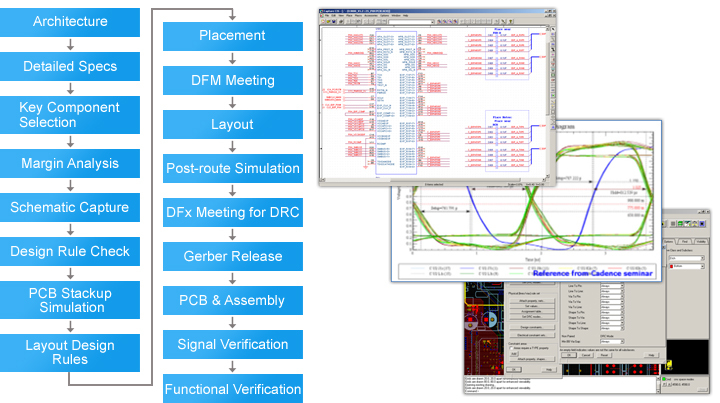 In Advantech, the EE team develops according to a strict design flow, which covers power integrity (PI) and signal integrity (SI), pre-simulation and post-simulation to verify design. Design considerations such as EMI are mapped into check lists to ensure design quality. Advantech is premier partner of first tier silicon vendors in embedded platforms and has full support on advanced platform implementation. We are expert in early access design and provide latest technology and solutions.